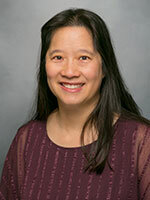 Joan C. Lo, MD, is a senior physician and research scientist at the Kaiser Permanente Northern California Division of Research; Associate Clinical Professor of Medicine at the University of California, San Francisco (UCSF); and endocrinologist at Kaiser Permanente Oakland Medical Center and San Francisco General Hospital. She is also directs clinical research center activities at the Division of Research in collaboration with UCSF’s Clinical and Translational Science Institute (CTSI). Dr. Lo’s current research interests center on endocrinologic conditions related to women’s health and chronic disease, including reproductive, pregnancy and post-menopausal disorders in women. Her work has also focused on endocrinologic and metabolic perturbations associated with HIV infection and chronic kidney disease. In clinical practice, oral bisphosphonate drugs are considered one of the main therapies for osteoporosis, based on strong clinical evidence of significant reduction in risk of hip, vertebral and non-vertebral fractures during the first 3-5 years of therapy. However, data are extremely limited regarding fracture outcomes beyond this initial treatment period and there have been concerns regarding long term adverse outcomes. This joint Kaiser California study proposes to fill an important knowledge gap by examining major osteoporotic fracture and atypical fracture outcomes among postmenopausal women with at least 3 years of bisphosphonate therapy. The aims are to: 1) Examine the association between long-term bisphosphonate use patterns and subsequent risk of osteoporotic fracture; and 2) estimate the association between long-term bisphosphonate use patterns and subsequent risk of atypical fracture. J Clin Endocrinol Metab. 2019 Jan 23. J Pregnancy. 2019;2019:9847057. Epub 2019-01-01. BMC Fam Pract. 2018 Oct 19;19(1):170. Epub 2018-10-19. Am J Nephrol. 2018;47(3):208-217. Epub 2018-04-05. Breast Cancer Res Treat. 2017 Dec 16. Am J Manag Care. 2017 Dec 01;23(12):e421-e422. Epub 2017-12-01. Nephrology (Carlton). 2017 Oct 24. Adv Med Educ Pract. 2017;8:703-706. Epub 2017-10-05. Am J Manag Care. 2017 Sep;23(9):560-564. J Grad Med Educ. 2017 Jun;9(3):375-376. J Manag Care Spec Pharm. 2017 Apr;23(4):503-512. Hemodial Int. 2017 Mar 16. BMC Geriatr. 2017 Mar 11;17(1):65. Epub 2017-03-11. Acad Pediatr. 2017 Feb 18. J Am Geriatr Soc. 2017 Feb 02. Am J Manag Care. 2016 Oct 01;22(10):e358-e359. Epub 2016-10-01. Osteoporos Int. 2016 Jul 28. J Bone Miner Res. 2016 Jun 20. J Obes. 2016;2016:4287976. Epub 2016-01-14. Am J Cardiol. 2015 Nov 15;116(10):1527-33. Epub 2015-08-31. J Clin Endocrinol Metab. 2015 May;100(5):2046-54. Epub 2015-02-26. PLoS ONE. 2015;10(3):e0121553. Epub 2015-3-26. Am J Manag Care. 2015;21(3):e206-14. Epub 2015-03-01. Pediatr Obes. 2015 Jan 22. PLoS ONE. 2014;9(10):e111477. Epub 2014-10-29. Circ Cardiovasc Qual Outcomes. 2014 Sep;7(5):718-26. Epub 2014-08-26. Clin J Am Soc Nephrol. 2014 Jul;9(7):1217-24. Epub 2014-05-08. Osteoporos Int. 2014 Jun 26. Pediatr Obes. 2014 Jun;9(3):167-75. Epub 2013-05-15. J Ren Nutr. 2014 May;24(3):186-93. Epub 2014-03-07. Int J Pediatr Endocrinol. 2014;2014(1):3. Epub 2014-03-03. Pediatrics. 2013 Aug;132(2):e349-55. Epub 2013 Jul 1. Pediatrics. 2013 Feb;131(2):e415-24. Epub 2013 Jan 28. Bone. 2012 Dec;51(6):1025-8. Epub 2012 Aug 19. J Bone Miner Res. 2012 Oct 8. Am J Manag Care. 2012 Oct;18(10):e398. Hum Reprod. 2012 Sep;27(9):2837-42. Epub 2012 Jun 14. J Manag Care Pharm. 2012 Sep;18(7):497-505. Bone. 2012 Sep;51(3):524-7. Epub 2012 May 23. J Oral Maxillofac Surg. 2012 Aug;70(8):1844-53. Epub 2012 May 16. Am J Cardiol. 2012 Jul 15;110(2):246-53. Epub 2012 Apr 18. Bone. 2012 Jul;51(1):181-4. Epub 2012 Mar 4. Osteoporos Int. 2012 Feb;23(2):743-50. Epub 2011 May 12. Pediatrics. 2011 Dec;128(6):1135-41. Epub 2011 Nov 21. J Clin Densitom. 2011 Oct-Dec;14(4):407-15. Epub 2011 Oct 1. Obstet Gynecol Clin North Am. 2011 Sep;38(3):503-17. Clin Infect Dis. 2011 Apr 1;52(7):941-4. Epub 2011 Jan 27. Am J Manag Care. 2011 Mar;17(3):188-94. J Oral Maxillofac Surg. 2010 Sep;68(9):2232-40. Clin J Am Soc Nephrol. 2010 May;5(5):867-73. Epub 2010 Mar 18. J Oral Maxillofac Surg. 2010 Mar;68(3):508-14. J Oral Maxillofac Surg. 2009 Jul;67(7):1363-72. J Clin Endocrinol Metab. 2008 Mar;93(3):861-8. Epub 2007 Dec 26. Am J Med. 2006 Sep;119(9 Suppl 1):S69-78. Curr Opin Nephrol Hypertens. 2006 Jul;15(4):361-5. Osteoporos Int. 2006;17(6):922-8. Epub 2006 Apr 12. Clin Infect Dis. 2005 Nov 1;41(9):1335-40. Epub 2005 Sep 29. J Am Soc Nephrol. 2005 Jul;16(7):2134-40. Epub 2005 May 18.